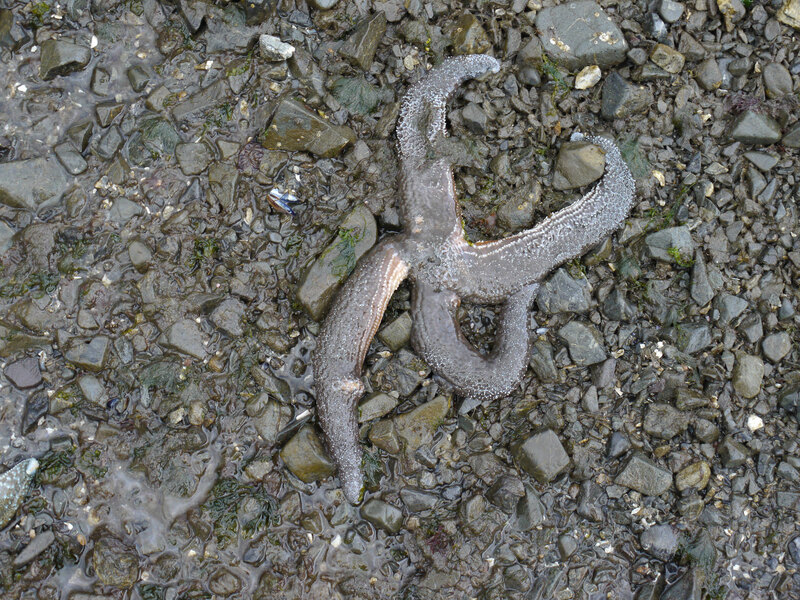 While I was in Kachemak Bay, Alaska, this summer I observed what I had hoped I would not find: evidence of sea star wasting syndrome. 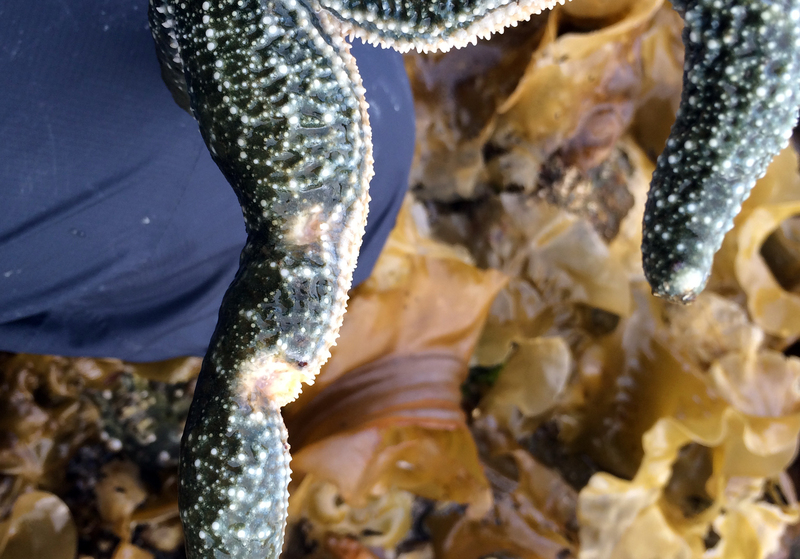 I took photos of sea stars at Tutka Bay during an ultra low tide in May 2013 and again in September 2013. 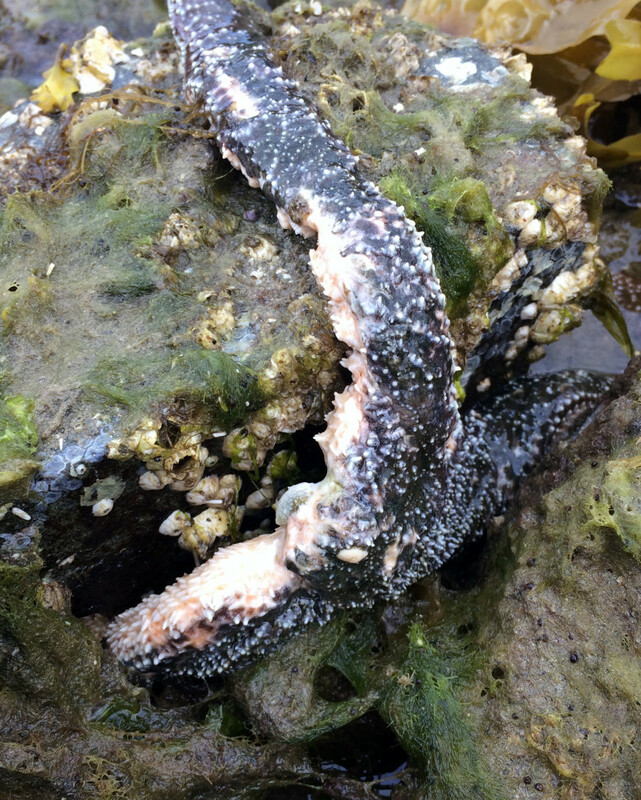 Once I was back in NC, I started to read about the mortality of millions of sea stars along the Pacific coastline of the US. 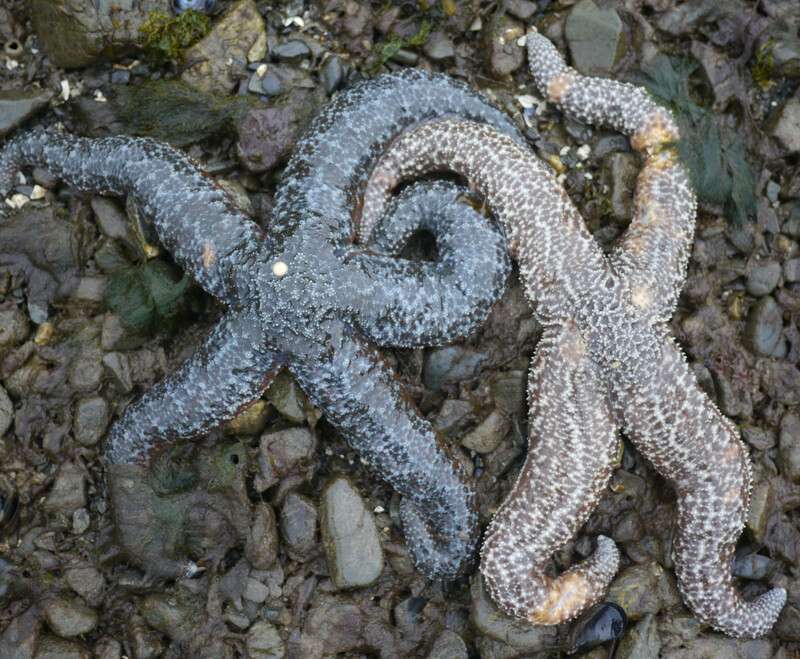 Sea stars along much of the North American Pacific coast are dying in great numbers from a mysterious wasting syndrome. 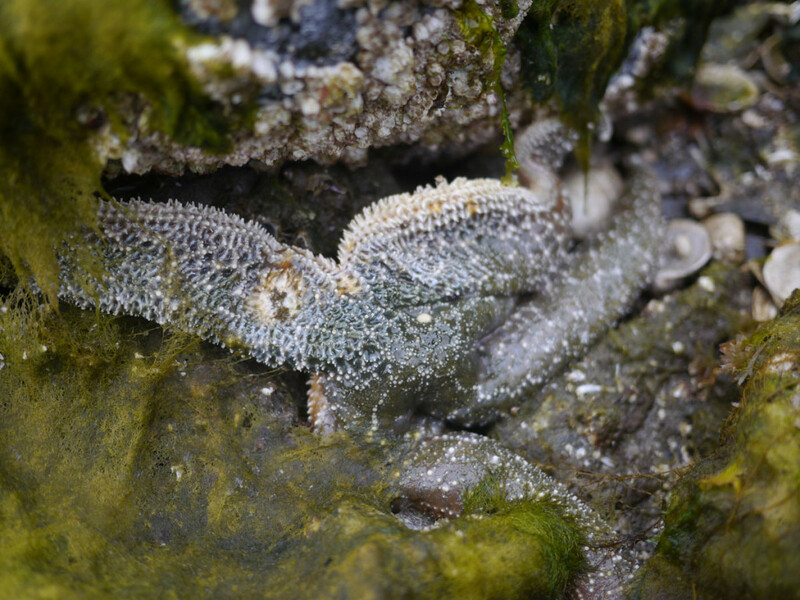 As yet the cause of the syndrome is unidentified, and it’s not clear whether it’s a due to an environmental change, disease or something else. Similar die-offs have occurred before in the 1970s, 80s, and the 90s, but never before at this magnitude and over such a wide geographic area. 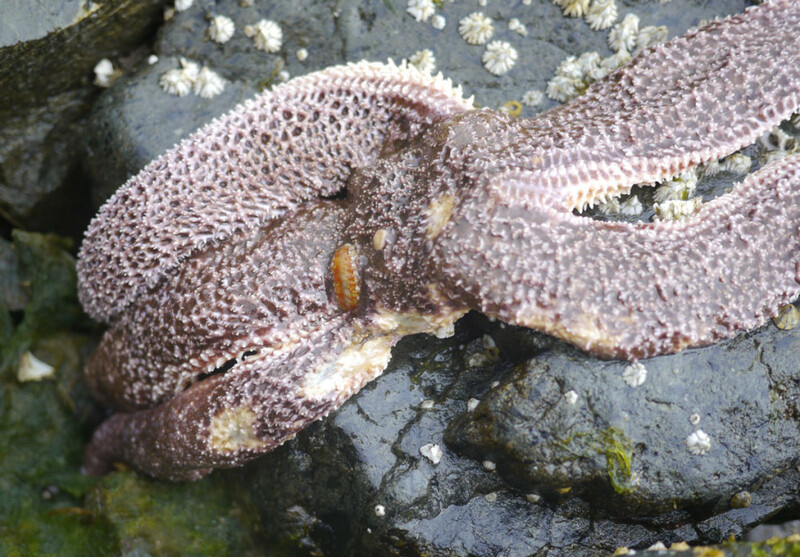 So, I when I went back to Tutka Bay in July 2014, I wanted to see if I would notice any difference in the hundreds of sea stars that I had observed and photographed in 2013. 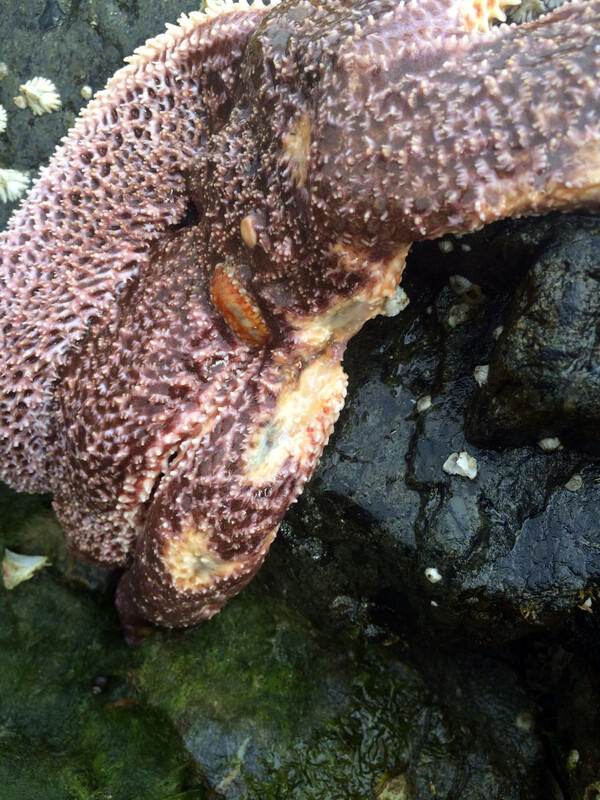 The short answer: yes. 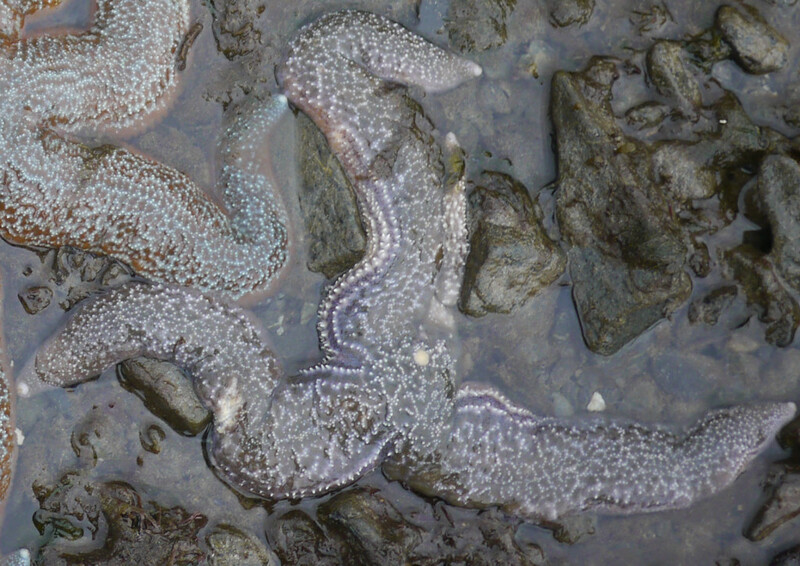 Two things were very evident: many sea stars exhibited the lesions and decay of tissue that are symptomatic of sea star wasting and the populations of Pisaster ochraceus and Evasterias troschelli were dramatically diminished. 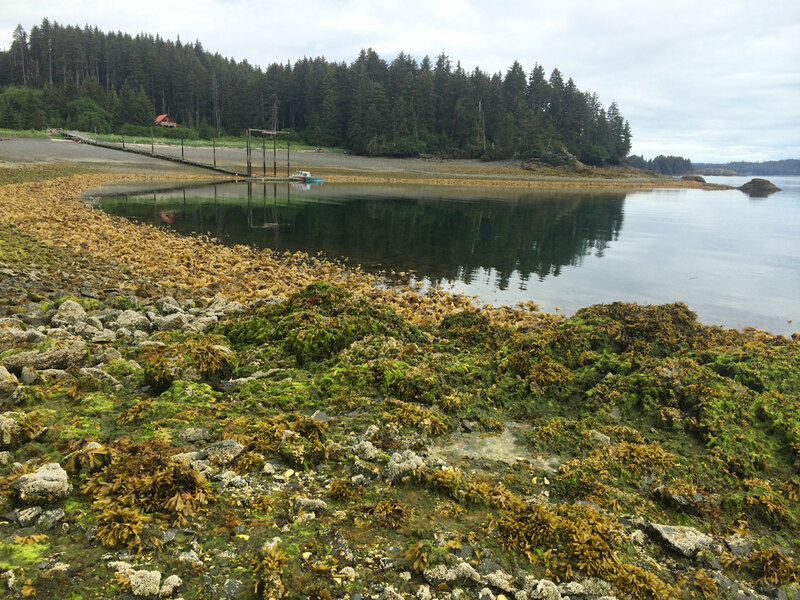 I then looked back at my 2013 photos to do a comparison. 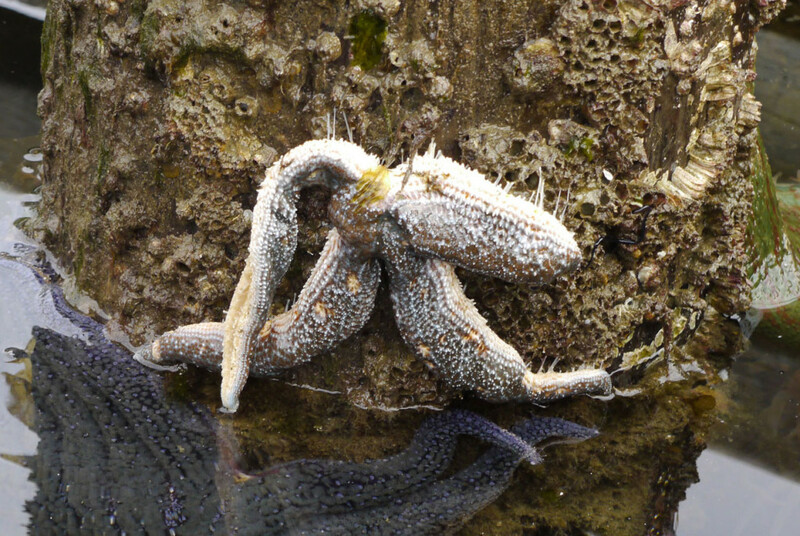 I was surprised to see that as early as May 2013 I had photographed sea stars that were diseased. This entry was posted in Alaska and tagged Alaska, Sea Star, sea star wasting, seastars, starfish on August 1, 2014 by Karyn Traphagen.